This is a briefcase loaded with features. Top flap with leatherette accent and zipper pocket accross. Press-and-Release buckle allow quick access the multiple pencil, coin, and organizer pockets under the flap. Key tab included. 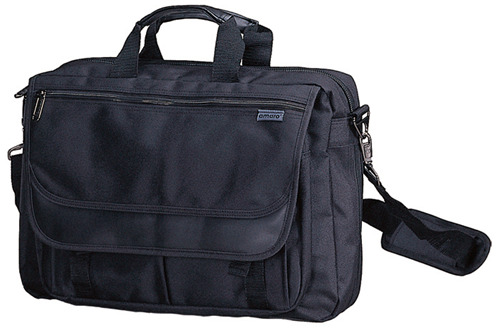 Large back zipper pocket and bottom expandable compartment for additional storage space. Small zipper pocket on top provides secure and convenience access to small items. Large main compartment zipper opening. Metal hardware. 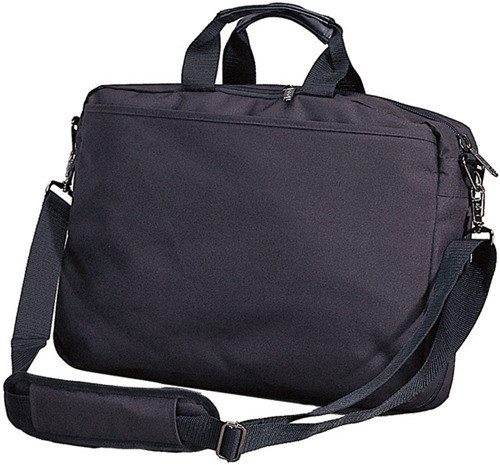 Detachable shoulder strap with padding. This item is great to use as corporate gifts by adding the custom logos on front flap zipper pocket.